Multidistrict litigation involves multiple civil cases pending in different districts that share one or more common questions of fact. Such actions may be transferred to any single district for coordinated or consolidated pretrial proceedings. These transfers are made by the United States Judicial Panel on Multidistrict Litigation (“JPML”) as authorized by 28 U.S.C. 1407. Actions are transferred by the JPML for the convenience of the parties and witnesses and to promote the just and efficient conduct of such actions. More information on multidistrict litigation can be obtained from the JPML website at http://www.jpml.uscourts.gov. 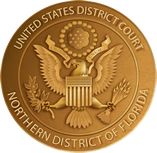 On October 3, 2016, the JPML consolidated pretrial proceedings for In Re: Abilify (Aripiprazole) Products Liability Litigation, MDL No. 2734, in this court. The transferred actions share factual issues arising from allegations that Abilify (aripirazole), an atypical anti-psychotic medication commonly prescribed to treat a variety of mental disorders, can cause impulse control problems in users. All the actions involve factual questions of whether Abilify was defectively designed or manufactured, whether defendants knew or should have known of the alleged propensity of Abilify to cause compulsive gambling behaviors in users, and whether defendants provided adequate instructions and warnings with this product. These cases have been assigned to the Honorable M. Casey Rodgers for coordinated discovery and pretrial matters. This website is provided for the convenience of all interested parties, the complete record of the proceedings is available on PACER. The Court has approved the use of MDL Centrality for service of Profile Forms and Fact Sheets in this MDL. The website for MDL Centrality is www.mdlcentrality.com/abilify. For attorneys needing assistance in setting up an account or general help, email abilify@browngreer.com or call (888) 361-0741.